The last time I was in Pullman Putrajaya was like 4 years back, and I left the hotel with such great memories of its food and beautiful scenery surrounding the hotel. It stands like a castle by a seaside, being it is hotel situated just beside the famous lake Putrajaya. When I was invited to review its Ramadhan spread, I was ecstatic. And befittingly, the theme of spread is 'Magical Ramadhan Nights'. Imagine eating your most favorite and special dishes, just like what Mum always prepare for you during Ramadhan, by the lakeside. What could be more Magical than that? 'Magical Ramadhan Nights' boast of more than 300 all-time favorite Ramadhan dishes which includes fresh BBQ, Turkish delights, desserts and fresh fruits! Now, let's see what Pullman Putrajaya has to offer. The first section that I visited was the fresh BBQ section. Look at how fresh the seafood are! Now let's see what 'heavy' food they have. This is just the food that I love, especially during Ramadhan. They also have a salad bar and live cooking section (such as pasta and pizza) but I was so engrossed with its BBQ section that I have forgotten to take the pictures of the live cooking section. And now the best section ever of any buffet (the best for me that is) is the dessert section! Pullman Putrajaya Lakeside dedicate the whole room just to accommodate its lavish spread of dessert. There were ice-creams, milkshake, fresh juice, Turkish desserts, local kuih-muih and arrays of succulent dates! For those who prefer to have fresh fruit instead, there are a variety of fresh fruits await. And the one that people flock towards to, Durian! Yes, Pullman Putrajaya Lakeside has Durian for you too. 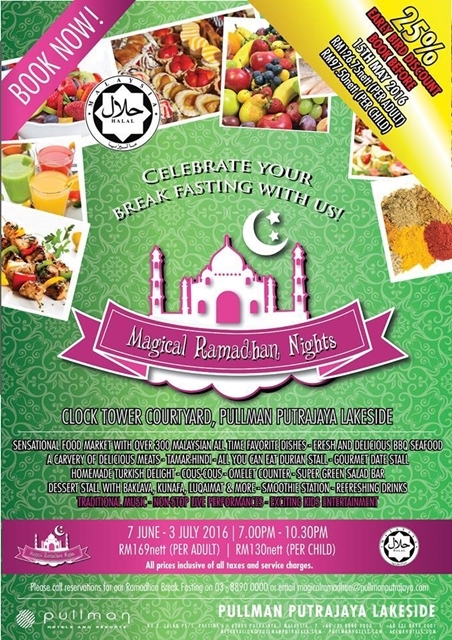 So, what's the deal with 'Magical Ramadhan Nights'? If you book before 15 Mei 2016, you are entitled to 25% discount. And if you book for more than 10 pax, you will be in the running to win a one-night stay at the DELUXE room at the Pullman Putrajaya Lakeside. All you have to do now is call to book the spots for your family, friends, and officemates and pray upon your lucky stars. Thanks for coming for the food review and u have such a nice post update! 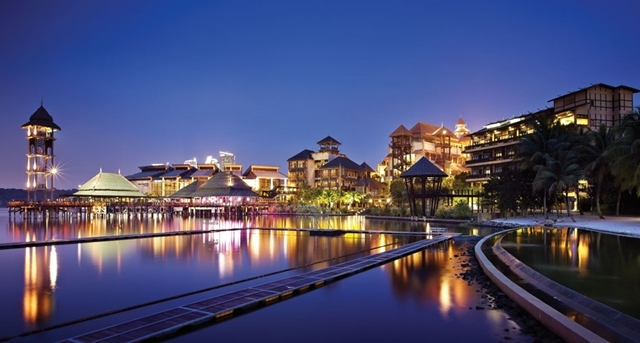 I have been to Pullman Putrajaya Lakeside a few times before and always enjoyed the hospitality. It didn't cross my mind that they would offer just a scrumptious Ramadan spread. delicious! I wanna go there makan again! 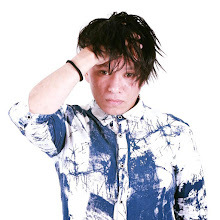 ohmy! everything looks super yummy! Quite a good food selection and the durian steal the limelight lah. Nak makan durian juga la.